Why choose Gates and Railings Direct For Your Wrought Iron Gates and Railings? Gates and Railings Direct are a friendly family run business with over 20 years experience in the industry. So rest assured your in the right hands. Our skilled workers create beautiful handcrafted iron work in our own factory, here in Newcastle upon Tyne. We manufacture wrought iron driveway gates, wrought iron garden gates, wrought iron side gates, wrought iron railings and balconies. Creating Your Own Wrought Iron Gates Online Is As Easy As 1-2-3! Choose the online designer that you need! Input your sizes and designs that you like! 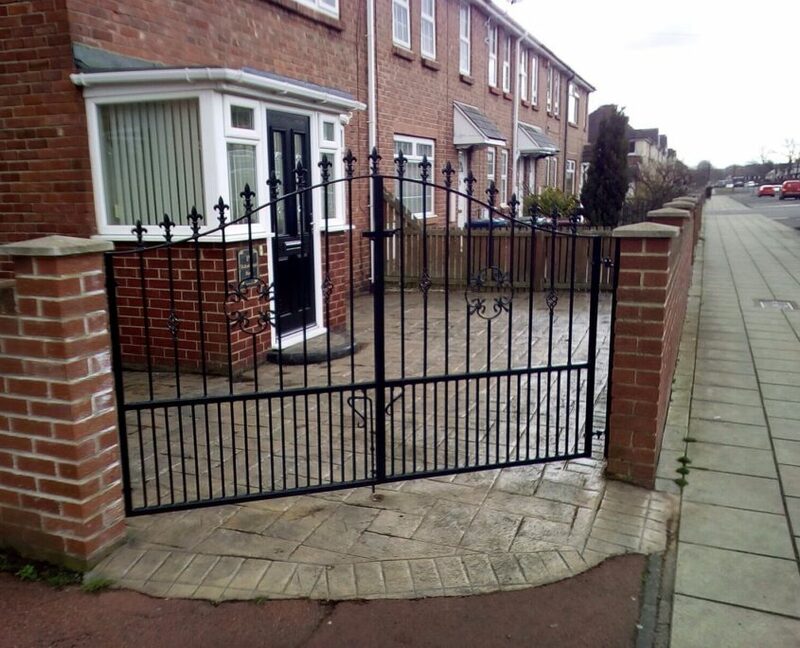 We will create your Gate or Railings! Gates and Railings Direct specialise in Wrought Iron Gates and Railings. We are based in Newcastle upon Tyne, Tyne and Wear. Our metal workers create beautifully crafted custom Wrought Iron Gates and Railings, to the exact specification of our customers. We pride ourselves in quality craftsmanship. We offer handcrafted quality Gates and Railings at a very reasonable price and pride ourselves on our customer service. To find out more about Gates and Railings Direct, the company that create and supply beautifully hand crafted wrought iron gates and railings throughout the U.K. Visit our About Gates and Railings Direct page. Using our online wrought gates and railing designers, you can create your very own bespoke Wrought Iron Side Gates, Driveway Gates, Garden Gates or Wrought Iron Railings. 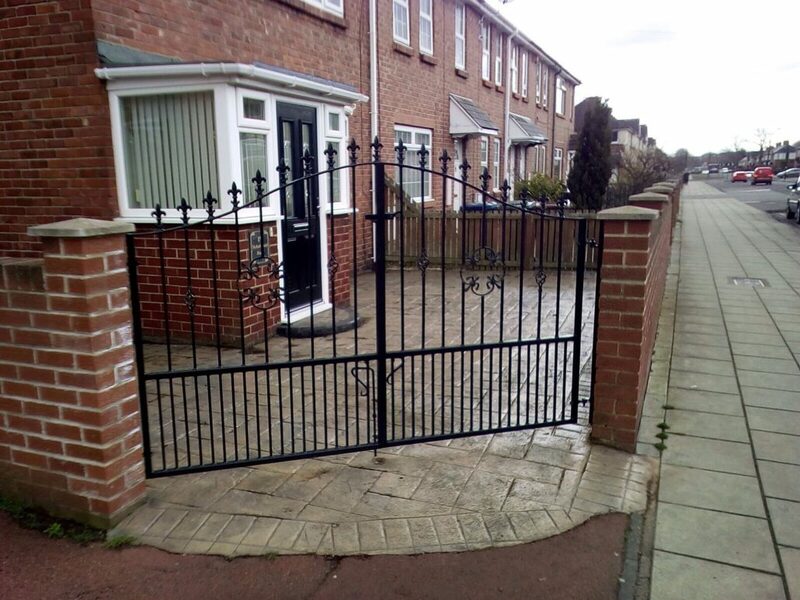 We can cater for almost any style of gate fabrication. So if you have a particularly complicated or large job please don’t worry. Our iron workers at the forge can do whatever you need. You just need to contact us direct by giving a member of the team a call. Feel free to send us an email at contact@gatesandrailingsdirect.co.uk or fill in the online contact form on our contact page. No matter what the issue is we have the skills, knowledge and experience to overcome it. We’ll build the wrought iron gates or railings that you want and need. If you have any questions please check out our Wrought Iron Gates and Railings FAQ page. Get in touch with us today and see if we can help you.